I picked up two blushes in New York and have been happily rotating between them. Completely polar opposites, budget wise – Saks and Drugstore. Both are pretty gorgeous though, and I have been enjoying using these in place of some of my brighter coral shades (as loved over the summer, cocktail in hand). Let’s start with the Gucci Sheer Blushing Powder in Soft Peach, which is more of a dusty rose than something I would call a peach. I’ve never tried anything else from Gucci, but this delicate whisper of a blush acts a fairly enticing sampler for the brand as a whole. It’s soft, it’s gentle and it’s pretty much impossible to overdo. One for dark morning and dim lighting conditions? 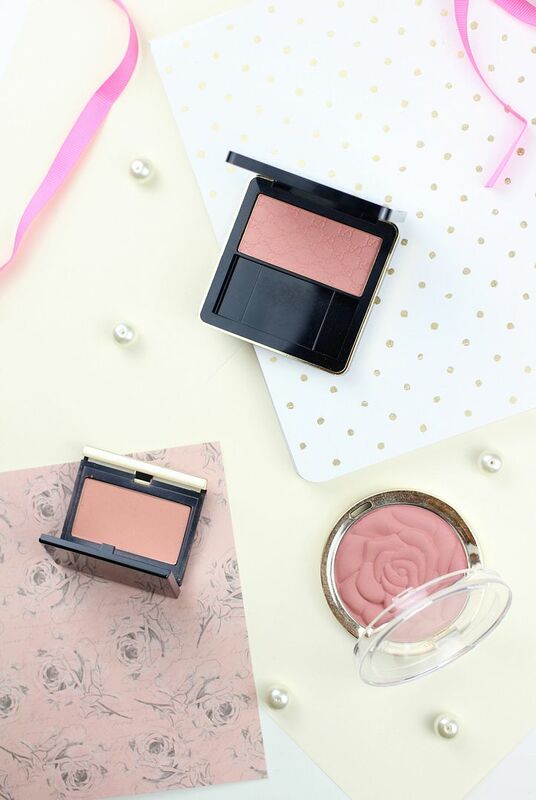 This one is basically a work of art – the Milani Powder Blush in Romantic Rose. I would say the shade is not miles away from the Gucci one but with this I am more in love with how it looks. Shallow, yes, but who can blame me when the blush looks as divine as this? I’ve mentioned this one many, many times but I still obsess just as much over the Kevyn Aucoin blush – look how gorgeous the shade Ariana is. It’s just utter peach perfection, and I never fail to notice the brightening capabilities of a quick sweep of this pint-sized little powder. It has a silky-soft matte texture that never looks dry or chalky and it blends in like a dream. Kevyn Aucoin’s makeup range as a whole is worth checking out, but my very favourite product is this beauty. What’s your favourite blush of the moment?